Oral cancer diagnosis is on the rise with an estimated 51,540 new cases expected in 2018. At our dental office in Austin, we understand how serious this life threatening disease is. In fact, the American Cancer Society projects that over 10,000 people in the United States will die from it this year. However, while oral cancer can lead to death, the five-year survival rate is 65%. Part of what contributes to this relatively high chance of survival is due to early diagnosis. 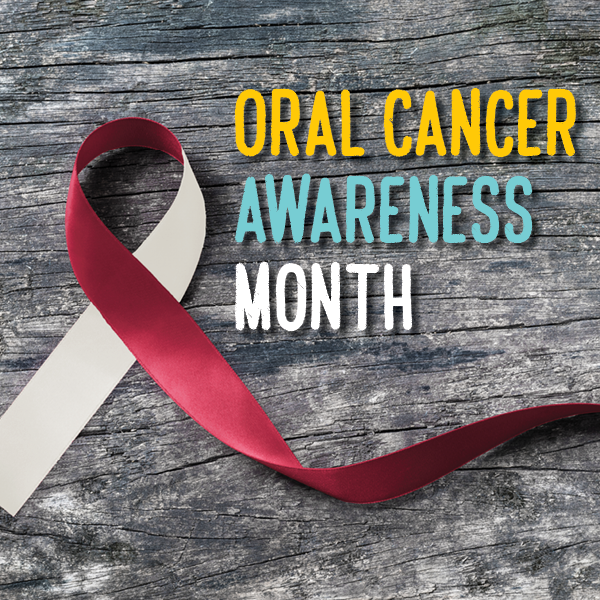 During this Oral Cancer Awareness Month, we’d like to help raise awareness by sharing the importance of regular dental checkups that just might save your life. Some of the most common areas affected by oral cancer, along with their various five-year survival rates based on the stages listed above can be found in the table below, courtesy of the American Cancer Society. Additionally, seeing your dentist in Austin at least every six months can proactively monitor your overall oral health, including screening for oral cancer. Your dental team is trained to look for any areas that may be concerning. Regular dental checkups can help catch oral cancer early so that you can get treatment as soon as possible in order to increase your chances of beating it. If you notice any potential problem areas or it’s just been awhile since you’ve been to the dentist, we’re always welcoming new patients and encourage you to call our Austin dental office to schedule an appointment. We’re dedicated to protecting your smile and your overall health.